Payment due: On or before Friday 11 May 2018. Congratulation. You are approved as a Pawa shareholder! Are you a Norwegian taxpayer? Invest personally or through your company. Invest from 30,000 up to 500,000 in 2018. Get 23% cash-back on your 2018 tax return. 2018 needs to be the first year you invest in Pawa. Limited to kr 1,5 million from new 2018 investors. Click Join now button now to invest with us. More than 500,000 have now seen our Pawa Facebook videos. 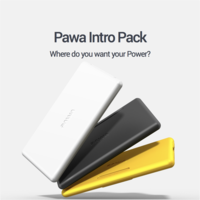 185 have downloaded our Pawa Investor Presentation. For each new customer delivery in Kenya, we now get 62 new customers. This is humbling. Many have asked us how they can get their own Pawa. So we decided to up the game: To get your very on Pawa Starter Pack – just up your investment to kr 100,000 before funding round is over. We have no plans for additional funding from Norway. This is it. Up your commitment today or no later than 05 May 2018 at 6pm. To our most asked question: Yes, you can add new commitments on top of your previous! When round closes, we will summarize your commitments and send it as one request for payment. You can then decide to split the payment on several owners (eg. you and a family member or a company). Payments will be due after 05 May 2018. Contact us if you want any help. Thank you for your commitments to Africa's mobile, personal, free solar energy system. Pawa makes grand strides forward. Two new Board Directors. One new updated Series A Investor Plan for your download here.